E-mail addresses, Local Media and Blogs. This is NOT an authorized or official Town of Monterey Web site!!! 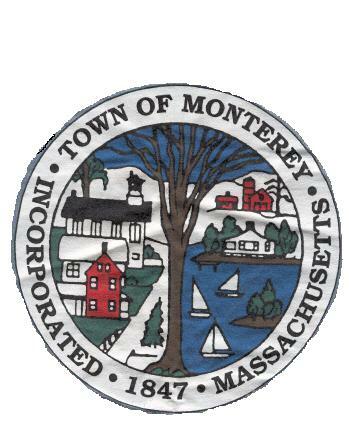 The Town of Monterey Logo and Seal are used on this Web page without permission or authorization. See Legal Notice. Please Note: It is recommended that you include your name, address, and day and evening telephone numbers when writing a letter for publication in local newspapers. Most editors will not publish letters that cannot be verified, nor those that are illegible, irresponsible or factually inaccurate. Voice your opinion! E-mail or write to your elected officials. Copyright ©MontereyNews.org®/™ All Rights Reserved.